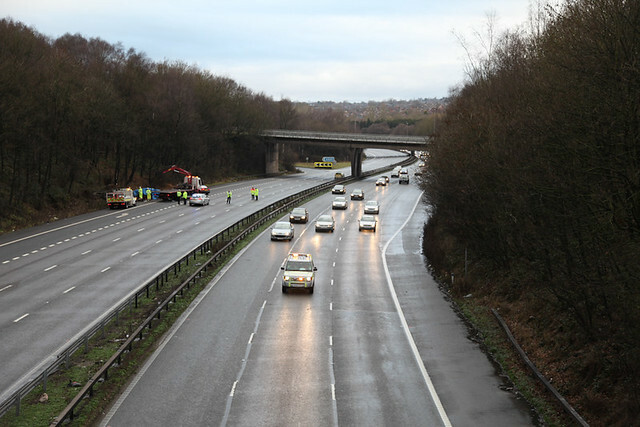 There has been a bit of noise on Twitter about the Richard Littlejohn piece Stranded on the road to nowhere about the tragic Christmas Day accident on the M6 near Stoke-on-Trent where 3 people, including 2 children lost their lives. The tone of Littlejohn’s piece is pretty much, oh there has been an accident, drag the bodies and the wreckage to the hard shoulder open the road and carry on. 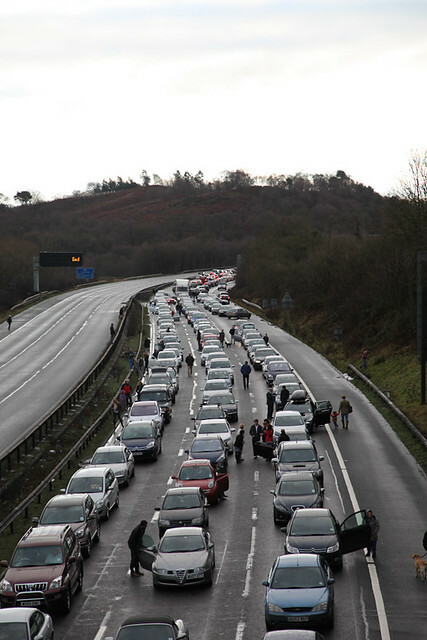 Nobody likes being stuck on a closed motorway or road, especially not on Christmas Day, but there are pretty good reasons why the Police & Highways Agency close the road in situations like this, not least of all it could be a crime scene. In the case of the Christmas Day accident, it is believed that only one vehicle was involved so it isn’t technically a crime scene, but you just don’t know. Nathan Constable writes more about the tone of Littlejohn’s piece here and Custody Sgt writes about it here. I’m not going to go through his piece line by line I’m just going to deal with some of the stuff that I think he has got wrong, although I’m not a Police Officer or a Highways Agency Traffic Officer I feel I am qualified to do this as I was there with my camera. Yes both carriageways were closed and two air ambulances attended, it is customary to close both sides of a road if you are going to land helicopters, it just you know, makes sense… There was a picture with the 2 air ambulances, land ambulances and fire engines on the BBC website, but I can’t seem to find it at the minute. The accident on the M6 happened at 11.25am. 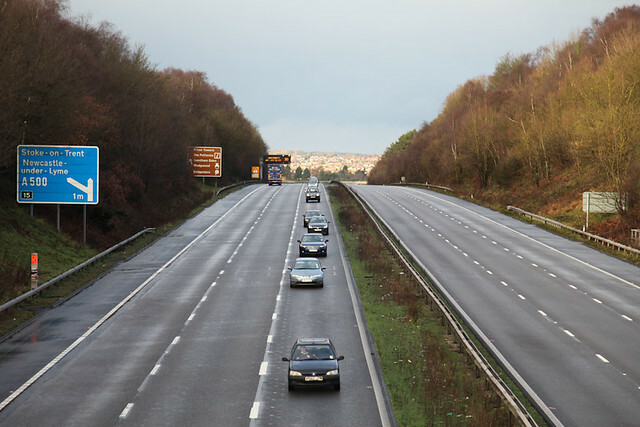 Though the southbound carriageway was reopened in the afternoon, the northbound carriageway stayed shut for several hours until early evening. Yes the southbound carriageway reopened at about 14:30, here is a picture of the first vehicles passing the accident scene. Pictures from the scene showed the wrecked vehicle being loaded onto the back of a recovery truck on the hard shoulder while half a dozen blokes in hi-viz jackets stand around chatting in the middle of the motorway. Yes there are a lot of people there in hi-viz jackets, what is actually happening here is the vehicle is being prepared to be lifted on to the truck, that is 2 people, there were at least 3 people from the maintenance company who look after this bit of motorway who were cutting branches off trees to allow the vehicle to be lifted. In Littlejohn’s piece he has a picture with a different view of roughly the same area, at about the same time. What he doesn’t say and probably doesn’t know is that the 3 bodies had only just been removed from the scene some 10 minutes earlier. Until the private ambulance had left the scene we (me and the other press photographers on the bridge) were stopped from taking pictures. It stands to reason that the southbound carriageway would also remain closed until this had happened, the last thing you need is an accident on the opposite carriageway because someone was rubbernecking. Another way of looking at it is, how do you explain to your 5 year old that the two men in black suits pushing a trolly with what looks like an oversized bin bag on it, in to the back of a black van where moving a dead body? On Christmas Day as well.. I suppose it is a good way to start the Santa doesn’t exist conversation. As for the blokes standing around chatting, they are probably the same guys who have had to help move the bodies of the 2 children and their aunt, doing this on Christmas Day when they probably really want to be at home with their own children. So I think allowing them a few minutes to reflect isn’t unacceptable really, the season of good will and all that. In the background is a three-lane tailback of stationary cars and lorries stretching goodness knows how many miles into the distance. is rubbish, yes I’m sure that an hour earlier I may have been able to see stationary traffic here, less than a mile from the accident. three-lane tailback of stationary cars and lorries stretching goodness knows how many miles into the distance. This is taken from the same bridge as the picture of the accident scene, and yes there are 3 lanes of stationary traffic stretching back about 1/4 of a mile maybe? The more eagle eyed amongst you may see that right at the back of the massive queue of traffic you can see brake lights, this is where vehicles have been turned around to head back down the motorway with the Highyways Agency so they can continue, all be it a little late, with their journey. The Highways Agency Officers seemed to be constantly relaying cars back down the motorway to get them on to a road that was moving..
I’m sure there were some tailbacks at Jct14 to the south but I drove from there up to the crash site along the diversion route and it wasn’t any busier than a normal weekday evening. The real tragedy is that 3 people lost their lives on Christmas Day, families have lost 3 very loved people. The bigger tragedy is Littlejohn gets away with spouting this rubbish. Updated at 18:40 30 December 2012, tidying up my poor grammar. A good, sensible commentary on the faux ‘sadness’ and downright ignorance of Littlejohn. Sadly he’s not alone in his rantings about post-accident road closures. Well said! It goes to show that although he’s allegedly intelligent, Littlejohn’s common sense and sense of decency might have been misplaced when he wrote that piece. It can’t have been an easy thing for you to write about so well done for that too. Firstly my condolences to the family of this most tragic incident. It is a pity that this incident is the one that has raised an issue about traffic delays on motorways whilst police are carrying out their investigations. The problem is that to the untrained eye it seems that the emergency services are all too quick to shut down the highway and too slow to open it up again. This may very well be true in many cases where air support services are not required or a nearby field is available instead of the carriageway, each incident will have a different services criteria. But all require an instant well managed organised and well equipped response team. What we should be discussing is why this problem of long closures has come to the fore. Is it because there is no longer an abundance of dedicated, expertly trained Traffic police patrolling the Highways ? or is its because we have entrusted our network of roads to a Highways Agency that is understaffed, underfunded and mismanaged ? take your pick I am sure there are more. All I know that years ago, when I patrolled the motorway as a Traffic Officer dealing with accidents, was that the free flow of traffic was one of the top priorities and shutting a Motorway was at the bottom of the list unless there was no other alternative. That was then this is now, without a large dedicated well equipped, well funded team of Police Officers back looking after our Motorways, I am afraid that delays on our Motorways will continue to get longer and more frequent, this is the price we have to pay when politicians meddle in Policing. Richard Littlejohn just picked the wrong incident to raise points that have been festering for a number of years and costing the the country millions. But if anything good is to come out of this, then I hope it is an improvement in manpower available to cope with these all too frequent delays on our Motorways. A fair proportion of all the ongoing comments about delays is due to way DfT use a notional value of time saving to cost any transport project. I feel sickened by this mans comments. I had to work Christmas day and indeed, would rather have been at home with my family but I guess that went over his head. The fact that he used this incident and then lied about it to justify an article makes me think the man has no soul nevermind anyone that would actually miss him at Christmas dinner in the first place. It’s seems to me this is the ramblings of somebody with a narrow minded thought process. To even write an article with such little remorse or understanding to the events that had just happened at a time where emotions run at there highest is a statement to this fact of narrow minded thoughts but to use a incident such as this to have, lets be honest ,nothing short of moaning session is complete and utter clarification to this man’s moral compass being some what out of sync. These traffic officers, highways agency officers and paramedics etc are dealing with multiple fatalities on a day where it’s a time for families and most of which probably have children at home, ages not to dissimilar from the children’s ages of the incident. But instead of thinking all of the above he sees fit to moan about being held up in traffic and getting to his destination a little later. Well how about think of the reality of some people now arnt going to get to there destination at all and all the emergency service yes involved have to deal with the psychological effect of the incident for a dam sight longer than these people are going to be held up in traffic. As an ex copper who has had to deal with the aftermath of such accidents, picking up the pieces, literally, I am grateful for someone who has the decency to speak out and put the record straight. I had little respect for Littlejohn prior to his comments (which he seems to feel justified in making, even though he is ill informed and ignorant of the realities), since these comments were made I have no respect whatever for him. His slight inconvenience in being delayed is so far outweighed by the tragic losses as a result of this terrible incident that he should be ashamed of the comments made. I think it will be a long cold day in hell before we hear him overcome his arrogance and insensitivity and proffer an apology. Correct me if I am wrong … If someone loses their life as a result of a Road Traffic Accident … and/or the actions of someone else contributing to this(these) death(s) was found to be at fault and illegal … This will be classed as a crime scene ? and as such, the Police will have to look for all evidence, be it a skid mark, part of a vehicle that may have been faulty and fallen off a vehicle, this could be vital to any prosecution or for the information of a Coroner .. Just the same as the unexpected sudden death of anyone be it a murder, aircraft crash or whatever .., do the Police let folk wander around these sort of major incident scenes and disturb potential evidence ? Err no, I think not … Mr Littlejohn should have bit of a reality check with himself and publish and apology at his soonest opportunity ..
Whilst I disagree with what Littlejohn has said, and i offer condolences to those involved, why does it take so long to close a motorway and divert traffic after an incident? 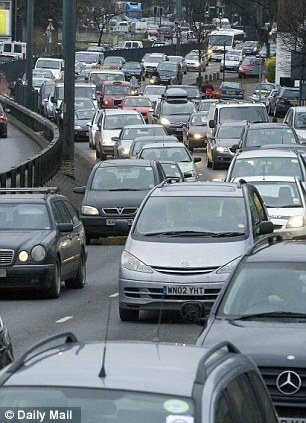 It appears to the general motorist that when a motorway is closed the drivers stuck in the jam are forgotten about. There always seems to be an abundance of police in attendance at major incidents, are they all needed to supervise the fire and ambulance people at work? If a serious accident occurs, then the police should immediately close the relevant side/s of the motorway and begin divering vehicles off at the earlier junction. That way the only vehicles stuck are those that have passed the free junction, these cars can then be turned around and escorted back and off the motorway. Minimal delays to the vehicles not involved and the services can get on with their jobs without rubberneckers, and avoiding further incidents as is usually the case when traffic is stopped. Both the police & highways have a limited number of resources – even more so on a day such as Christmas (the management refuse to pay the overtime). The initial response must be to the scene where the first aid has to be carried out (were there four in the car? ), the scene must be preserved & managed, other resources must be called upon & controlled & managed, the scene must be made safe and witnesses identified, supported & evidence obtained. These are all essential before anything else is considered. When looking at detours I am sure you will appreciate that the volume of traffic on a motorway with 3 lanes in each direction cannot be easily accommodated on single carriageway roads which lead off the motorway. If it was all as simple as it is being suggested then it would be actioned – but it’s not. Everything is well rehearsed albeit in real time and every incident is debriefed afterwards to learn & improve. An incident like this is not the time to moan – it is a time to be grateful. I’ve said to dozens of people already “I would rather be stuck in the stationary traffic than 1/4 mile up the road involved in the incident”. Thanks to Michael Rawlins for all the information and the time and effort he has taken to give the correct facts of this very tragic incident on Christmas Day. Richard Littlejohn is a despicable little creep who takes every opportunity to knock the police. As a retired Met Police Traffic Sgt, I have attended dozens of such incidents – even on Christmas Day and I find his comments particularly offensive. I made my feelings known on Facebook along with many others and I will be changing my morning newspaper as a result. I hope that Littlejohn sees some of the comments but I doubt whether he would be concerned as long as this odious little man can continue to knock the police. Mr Littljohn and those of you who moan about the roads being closed after a fatal collision should feel ashamed. Just put yourself in the shoes of the families of those that have been killed, not just this case. Now, ask yourself this – how would you feel if the Highways and the Police just took out a broom, swept up all the debris, body parts and evidence and said, “Stuff the investigation, there are people that might be a little bit late!”. I think you’d be putting in complaints regarding the lack of investigation into the death of a loved one. A fatal road traffic collision is something that needs to have a very thorough investigation, not just a push everything onto the side of the road so that people can get past. It is investigating the loss of a life, and could have consequences of a 14 year prison sentence (maximum sentence) on anyone found guilty of causing death by dangerous driving. It cannot be cut short to satisfy Mr Littljohn and other selfish and uncaring people. Stop being selfish and acting like children, oh, and Mr Littlejohn should be made to apologise to the family of the deceased in this case for his total lack of respect for 3 dead people. boiler suit that he regularly berates, I am pleased to see your article. I have been lucky so far in my career to have only worked on one fatal rta, and it is an horrific experience to place a driver from a cold road into a body bag and then arrange removal of body and car. As a driver,I have seen accidents, complained that others are rubber necking and been stuck in traffic jams. Noone likes a delay, we are all busy, but some things just take time. Thank you for your article, please show it to the daily mail. I prefer a paper which actually researches its stories! This has been some of the worst reporting I have ever seen – even from the Mail. Ill informed, badly judged and just downright wrong. Disgusted doesn’t come close! Now that is real journalism Mr Rawlins. Well done. I salute you. And speaking as a Traffic Senior Investigating Officer, I can say it is easy for Littlejohn to tap a keyboard with such disregard for research and therefore truth and accuracy, but we as police officers have to do a lot of tapping keyboards too, to put a file before the Coroner, or before a Crown Court Judge, but something that Littlejohn doesn’t have to do first, is have to deal with the blood of the victims and the tears of the relatives as well. (speaking as a police officer who carried out CPR over Christmas on a female in the floods) Please Mr Littlejohn, leave the Policing to us, don’t excite the armchair experts anymore and thank God for real journalists such as Michael Rawlins. What Pompus gumpf you publish! We all know the police lie as much as any journo you care to target. Pleb-gate / plod gate is revealing to us all exactly how creative police officers are when they sit down at a key board. Hillsbrough, Birmingham 6 reveals you lot come up with pure fiction. In contrast, Littlejohn is giving a view which even if it is wrong, is far less damaging than the crap you lot get up to. So before condemning journos as a soft target (heaven forefend the police should ever do such a thing) judge thyself and ye plod pals first. I am a serving traffic sgt who has atteneded more fatals than i care to remember. Mr Littlejohn is just sensationally reporting. Never let the facts get in the way of a good story eh Jonathon!! Maybe if he has the balls he can come with me to my next fatal, deal with the scene and the devastation, and then come with me to speak to the family concerned. Having dealt with that i then i have to supervise my staff and look after their welfare ( Yes Jonathon, we as police officers have families. Some of us even have children!!). Having dealt with that the investigation then turns to gathering evidence from witness statements, cctv, vehicle examinations, examinations of the scene.Etc Etc. Having done that the file building takes place over a number of months in order to satisfy the Coroner or the Crown Court. During all this time out FLO will be looking after the needs of the family involved ( Rememer them Jonathon!! ). If we have conducted a first class investigation the Coroner and the family will be grateful that we have done the best that we could and have found all the answers. If we haven’t conducted a first class investigation then the complaints and subsequent litigation will follow making various accusations about a poor investigation and causing damage the the reputation of police officers across the country, but more importantly we will have failed the next of kin to find out the truth about what happend the their loved ones . So if you were a couple of hours late for a dinner with family or friends i’m genuinely sorry about that. Just be grateful you have family and friends to have dinner with, Unlike others on that day. “the truth” – really ?? More likely someone who has spent time with the police for the wrong reason and has the proverbial axe to grind.An independant eye witness blows the Littlejohn lies out into the public gaze and being anti-police, you dont like it, so spout further bile on this site.Pathetic. Well; it was The Daily Mail. Did you expect anything any better? What a great article with an excellent put down of Littlejohn’s piece of writing. Maybe he should spend a day out with traffic officers to see exactly what goes on, as it then might clear up his ignorance of something he knows nothing about. Richard Littlejohn makes good points about how robot bureaucrats and petty officials and plod, pompously boss everyone around and don’t think twice about disrupting life for anybody, in order to satisfy their power trip. The police in this country behave way too much like petit-fascists! Police service needs reforming in order to stop abuse of power. Littlejohn highlights the everyday crap which hits people in the country and which we bear with too much dignity. By sucking up to the police you look like a sheep. I am a retired Police Officer having served with Hampshire Police for 32 years and retired in 2009. I would like to say a big thank you to Michael Rawlins for posting facts and not fiction unlike Littlejohn. Some will say that I am biased due to the fact that I was a Police Officer, that is very true and I was very honoured to be in that position. Each time a fatal occurs (or serious injury that could later result in a fatality) the Police are instructed by The Home Office rulings to treat the scene as if it were a murder scene. The only way to gather evidence for the Coroner (appointed by the same Home Office) to be able to make the necessary verdict at a Coroners Inquest is to be given all of the evidence gathered at the scene. In order to gather all of the evidence and potentialwitnesses, the Police HAVE to close the involved Motorway/Road. So Mr Littlejohn, your attack on the Police is totally misguided as they are only following procedures set by the Home Office, I suggest you take issue with the right department. It is obvious to anyone reading Littlejohns posting in the Daily Mail that has issues with the Police, why is that? Has he had personal dealings with them in the past and this is his distorted way of a personal revenge? It is also very apparent that he does not speak with fact and imparts with his own Walter Mitty version of events because at the end of the day you cannot get beyond fact. It may come as no surprise to you that he ‘declined’ the offer……as i have said ‘you cannot get beyond fact’. I am also appalled that he gave no thought whatsoever to the people who sadly lost their lives and all friends and family that are affected from their sad demise, let alone the personnel dealing with the incident itself. No doubt he would state that the ‘Police are trained to deal with it’ ….are we? Are we really? Does anyone know of a training school that actually uses real people so that we can watch them get killed, watch the impact of their bodies hitting something at high speed…I’m not prepared to go any further on the graphics…they only ‘train us’ on procedure, NOT how to cope with seeing bodies spewed over the road or inside of a vehicle or death itself. We are made of flesh and blood as well and have a concious and memory factor. We have to learn to live with the devastation that we see and deal with on a daily basis,we are not robots. His only interest was the slur of the Police and the fact that people were ‘inconvenienced’ because of a road closure. How sad is he, that he puts the value of a road closure way above that of the value of life itself!! I ask you to also think of the paper itself, allowing Littlejohns story to go to print! I say this to anyone who moans about being delayed because of a road closure due to an accident…be thankful that you are not the one that is the cause of the road closure!! The problem is that to the untrained eye it seems that the emergency services are all too quick to shut down the highway and too slow to open it up again.This may very well be true in many cases where air support services are not required or a nearby field is available instead of the carriageway, each incident will have a different services criteria.But all require an instant well managed organised and well equipped response team.